The Japanese writing system uses three main types of characters, the Kanji, Hiragana and Katakana. The Kanji: traditional symbolic characters that originated in China. The Kyōiku kanji ("education kanji") are 1006 characters that Japanese children learn in elementary school. The number was 881 until 1981. The Jōyō kanji are 1,945 characters consisting of all the Kyōiku kanji, plus an additional 939 kanji taught in junior high and high school. The Jōyō kanji were introduced in 1981. They replaced an older list of 1,850 characters known as the General-use kanji (tōyō kanji) introduced in 1946. Each kana is either a vowel such as "a" (あ); a consonant followed by a vowel such as "ka" (か); or "n" (ん). Hiragana: 46 phonetic syllables used for native Japanese words. 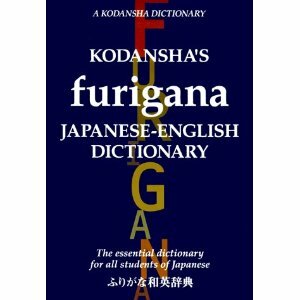 Katakana: 46 phonetic syllables used for foreign words. I've lived in Japan for about 13 years, and the nice things about Japanese is that it is a phonetic language and easy to pronounce. It was quite easy to learn Hiragana and Katakana very quickly from the beginning. Kanji took quite a bit longer and never will be good enough, but makes a lot of sense after all this time. Kanji is mostly used for nouns and the root of verbs. Hiragana is used for particles, the suffix of nouns, verbs, adverbs and adjectives. Katakana although used for foreign words can be difficult because you can't assume the language from which the word was derived from. For example the Japanese word for bread パン (pan in Katakana) is actually the French word for bread. To get a decent grasp of Japanese grammer, both colloquial and literal Japanese need a lot of practical usage. Below are some good books I've used as guides to help me along the way. This is an excellent dictionary. It has Kanji and Furigana. Romanized (Alphabet) dictionaries in alphabetical order (vs. the Japanese order that the Kanas are listed in) may be easy to but doesn't help much in getting used to the order of the kanas and the kanji in the same way Japanese do. Furigana refers to the small kana that are printed above or alongside kanji to show the pronunciation of the Chinese characters. They are common in children's books and comics to assist them as they learn the kanji. With furigana superscripts, the beginner who is familiar with hiragana and katakana is able to read even the most difficult and obscure kanji at a glance. Most books provide little or no guide to kanji readings or romanize some or all the Japanese words and sentences. 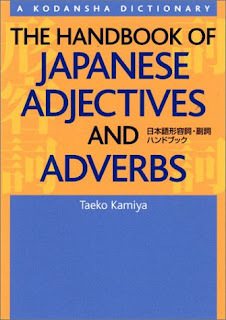 This book also has full sentence examples to support the word definitions provided (also in Furigana). One thing I've struggled with is verbs, adverbs and adjectives. Unlike English there aren't many irregular verbs. If you know the root verb, then it is quite easy to conjugate it appropriately. So the challenge is not in the conjugation but the broader sentence structure. It took a while to grasp this and the book as well, but it includes an addendum that show the many sentence compounds along with the meaning they convey. 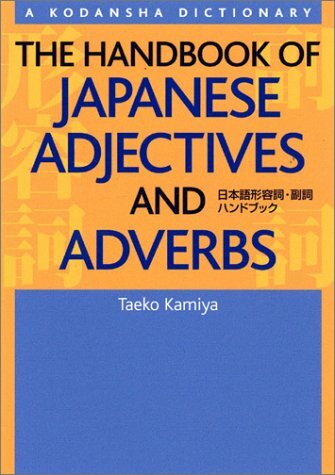 For any beginner of Japanese, adjectives and adverbs are bound to present a challenge. Unlike English adjectives, Japanese ones conjugate, meaning that you must memorize their various forms before being able to build sentences of any complexity. Adverbs do not conjugate, but make use of particles to show their grammatical relationship to other words, and some have very subtle shades of meaning that are difficult to grasp. Moreover, many do not translate into adverbs in English. The role these parts of speech play in adding flavor to the Japanese language is invaluable. This handy reference manual introduces the basic (and basics of) adjectives and adverbs in a clear and sensible way. As I mentioned earlier, hiragana is used as particles within a sentence. This book is invaluable to how to communicate clear and concisely. It would be like trying to speak English without 'the, a, an, or, at, on, of...' Japanese as a phonetic language has many more particles than English. Although phonetically and literally simplistic, it is the particles that give the Japanese language flexibility, expressiveness, and depth. 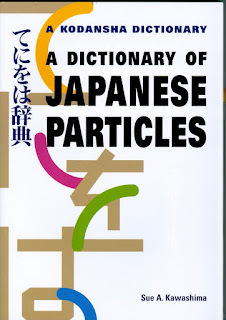 For English-speaking students of Japanese, particles are perhaps the most difficult aspect of the language to learn. It would be no exaggeration to say that, for most people, they can never be completely mastered. Thus, the study of particles is a lifetime undertaking, and students need a lifelong companion to help them along the way. 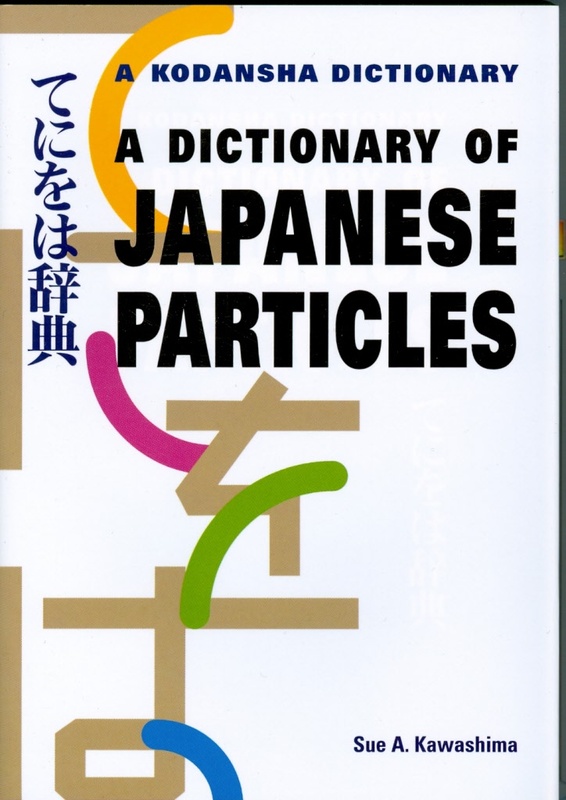 This dictionary covers over 100 particles in alphabetical order, explains the meanings of each (most have more than one), and gives sample sentences for each meaning.